says Sabina Fratila in our latest weekend guide. Copenhagen features the perks of a hip European capital, without all the metropolitan chaos and clutter you’d get in other larger urban travel destinations – especially if you manage to stay away from the tourist crowds. The city somehow manages to combine a very zippy vibe, thanks to its cultural and nightlife offerings, with a holiday-resort-style chill, due to its small size and some of the most laid-back people you’re likely to meet. Everything in Copenhagen is within cycling distance, from castles and art museums, to chic (i.e. expensive as hell) fashion and design shops, cozy cafes, but also beaches, canals and countless green pockets. The city feels airy with a low skyline, spacious streets that favour pedestrians and cyclists, gorgeous architecture old and new, a calming orderliness (…except on Saturday evenings, see ‘Drop In’ section below!) and an unshakeable sense of design everywhere you look. The best way to explore Copenhagen is one neighbourhood at a time. This way, you’ll be able to take in each district’s distinctive vibe, and discover, one by one, the hipster Nørrebro, the lush Frederiksberg, hippie Christianshavn, posh Østerbro and historic Indre By. 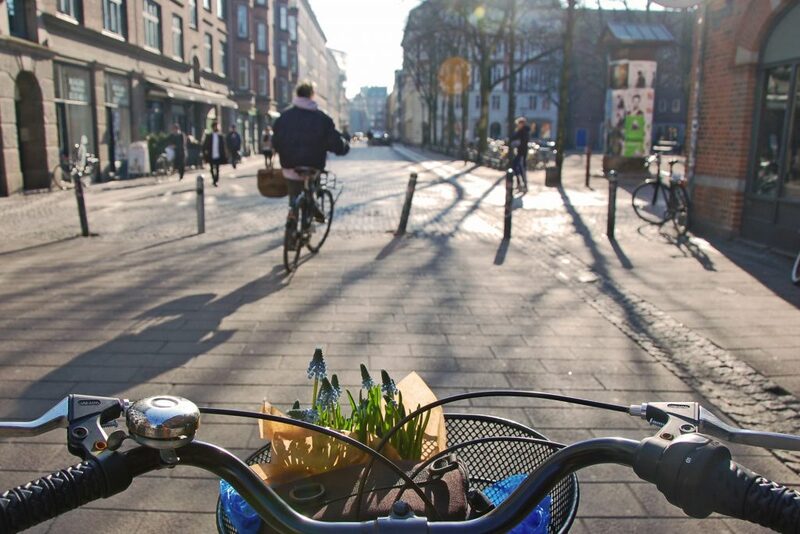 Much like Amsterdam, bikes are your best friend in the Danish capital and you can rent one from pretty much any corner of the city – Donkey Republic’s bike rental locations are available 24/7 and allow you to rent and unlock your bike with a mobile app. I guess I have to start with the Little Mermaid. 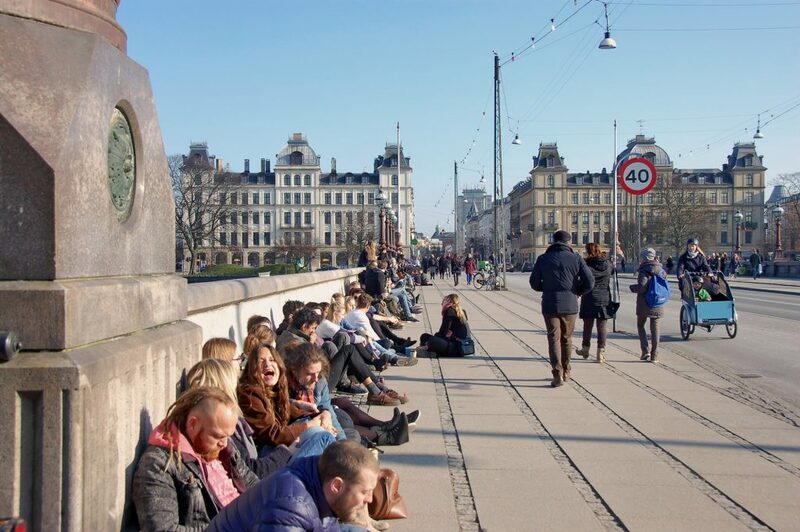 Why this statue has become the no.1 tourist attraction in Copenhagen is a mystery. Don’t get me wrong, she’s quite charming, and the story that she represents, by national scribe Hans Christian Andersen, is one of my favourites – but visiting this landmark is rather boring in itself. So I suggest you check this one off your list in an original way: rent a GoBoat with your friends, get some drinks and admire the Little Mermaid from the water – you’ll get a different angle for the customary picture of the tiny statue, and potentially photobomb the snaps of all the other unimaginative tourists stranded on the shore. Speaking of touristy spots, you’ll likely want to ride along the Nyhavn canal, where everyone comes to take a picture of the lively-coloured buildings lined up by the waterfront and marvel at the prices in the bars here. 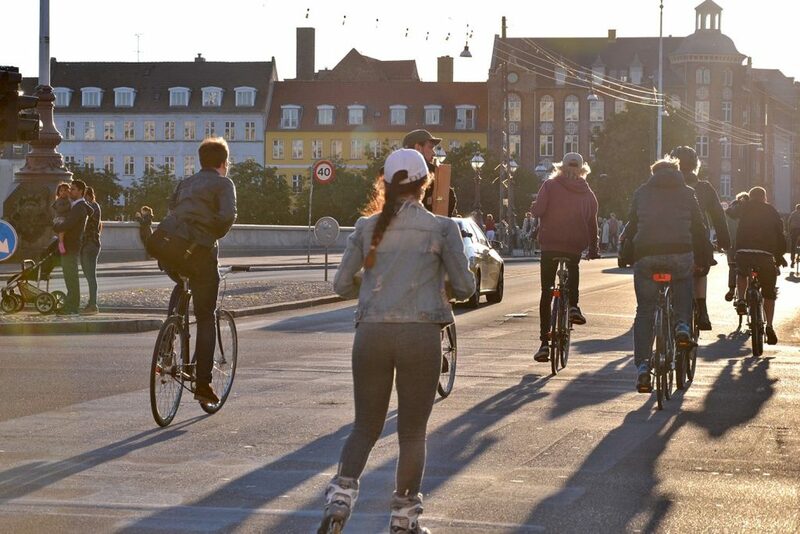 You’re better off taking the nearby cycling bridge and cross to the eastern part of Copenhagen, where you’ll find Papirøen – or the Paper Island, also known as Copenhagen Street Food. Here, you can spoil yourself with great food and drinks at decent prices (for Copenhagen! ), as well as a beautiful view and awesome music if you drop in at the right time. Other unmissable tourist attractions in Copenhagen are: Tivoli‘s amusement park (hint: you can buy skip the line tickets combined with a boat cruise via Get Your Guide); the National Gallery of Denmark, at least for their collection of Danish art from the Golden Age (it’s free! ), and Assistens Kirkegård, a cemetery that doubles as a beautiful park, as well as an unlikely sunbathing and picnic spot in summer. For lots more activities and fun things to do during your break check out Get Your Guide who list dozens of great tours. You can also buy your City Card from them if you plan on visiting a lot of museums. This is an easy one! 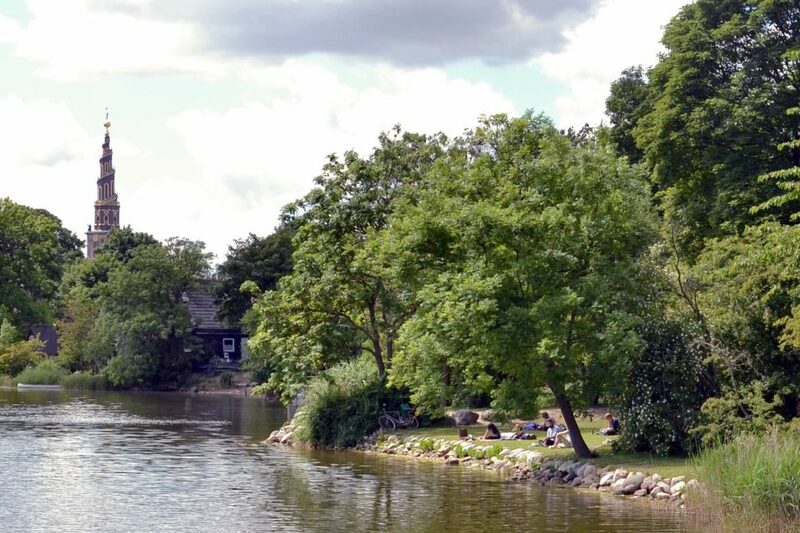 Head to Freetown Christiania for a vibe so different it can barely be called Copenhagen. This self-administrating community dates back to the 1970s when a group hippie squatters took over some former military barracks right in the middle of the capital. Here you’ll find a laid-back atmosphere, street art, a lot of green (some growing, some being smoked), beautifully quirky houses and gardens, bars, concert halls and art galleries. Do take the time to explore the whole area beyond the famous Pusher street and talk to locals – they have the most amazing stories about both the place and their own lives. 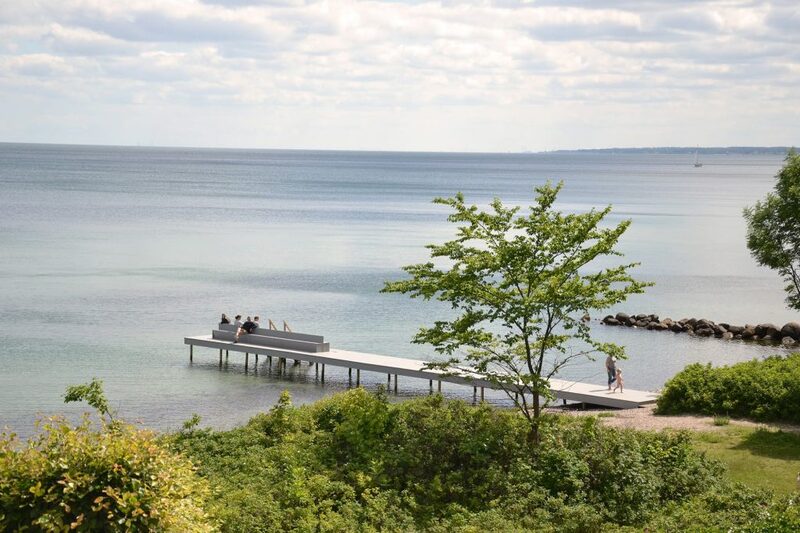 Who would think this spot is right in the heart of Denmark’s capital? For an equally alternative travel experience, but on the other end of the hipster spectrum, cycle to Jægersborggade. This is a street in the Nørrebro neighbourhood filled with all sorts of cool businesses: design shops, vintage clothing stores, artist workshops, coffee places, wine bars, and, a local favourite, the cactus shop! When the sun goes down, the Meatpacking District in eclectic Vesterbro is where you need to be. The cool kids come here for dinner, drinks and dancing; with such a generous selection of bars and clubs, no one ever gets bored around here. Hardly anyone stays sober either. 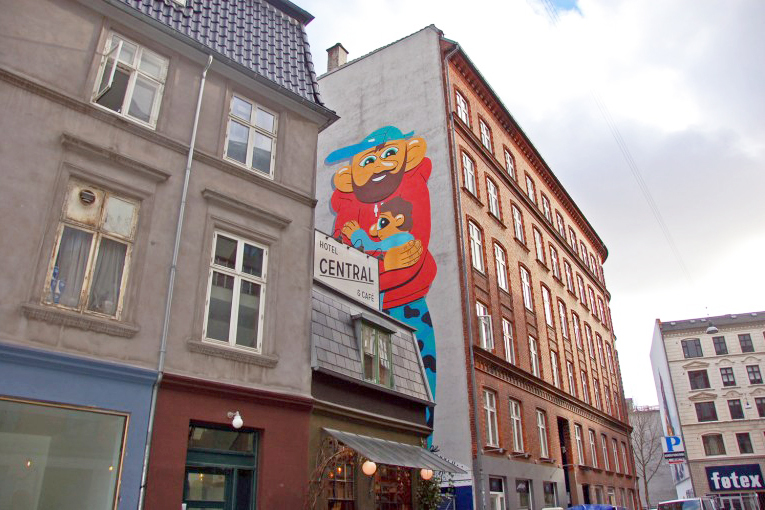 For more insight into these hipster districts Urban Adventures offer tours of both Nørrebro and Vesterbro. This guide wouldn’t be complete mentioning the amazing Louisiana Museum (pictured above). You will have to travel 35km north into Copenhagen’s suburbs, but art lovers won’t want to miss works by Roy Lichtenstein, Andy Warhol, Pablo Picasso and David Hockney. 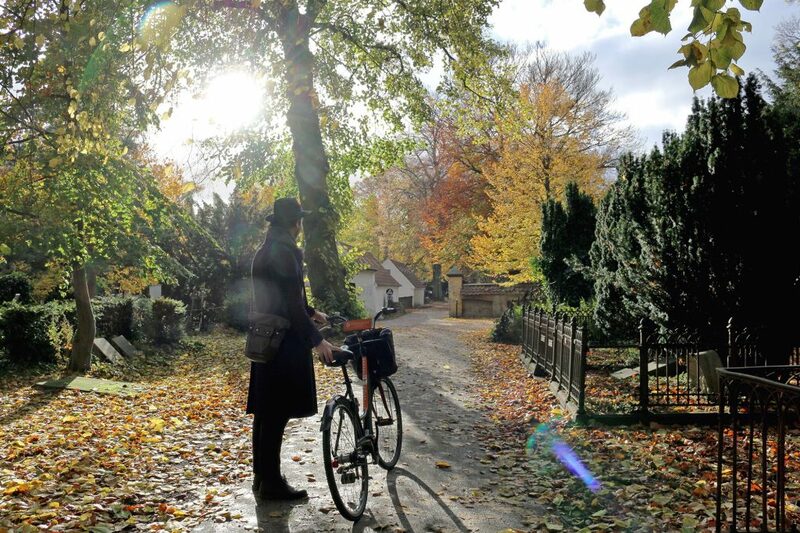 So you want to experience Copenhagen in an authentic way? I know I’m repeating myself, but you absolutely have to get on a bicycle. The city is basically made for cycling, and every local owns a two-wheeler. Public transportation works just fine, but by getting on a bike you will be able to cover as much as possible during a long weekend break and discover all the side streets and hidden green oases, that gem of a vintage shop only locals know or the little bakery where the owner smiles at you as if you’re their best friend. Best part of cycling? Feeling the wind in your hair and the sun warming your face. Friendly bakers aside, it’s not always so easy to connect with the locals when you’re visiting a new city. That’s why Danes made it all much simpler with Meet the Danes, a platform that enables you to meet locals and get invited for dinner in their own homes. 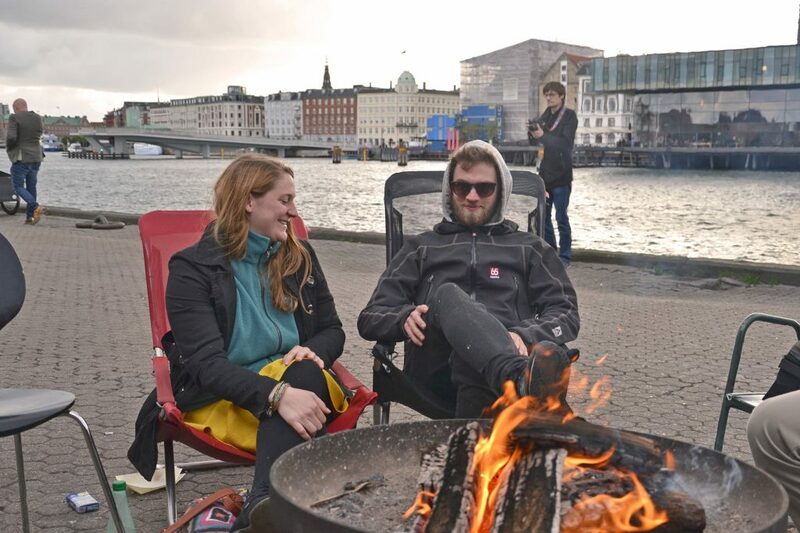 Not only do you get to eat great food and interact with awesome people, but you also get to see how Copenhageners live. If there’s something Danes do really well, that’s creating beautiful, cosy homes. As for events, the biggest, oldest and most popular one has to be Roskilde Festival. Beyond the A-list music acts, this annual festival is a truly unique experience. Just check this out (NSFW). For those of you who are not quite that crazy, but are still mad about music, there is the Copenhagen Jazz Festival. With over 100 venues and 1000 concerts spread over nine days in every corner of the city, this event is as much for the connoisseurs as for the simply curious. This is probably not the first houseboat on AirBnB you’ve come across – but just look at this. What’s more, the boat was rebuilt with recycled materials and the view is to die for. How about a hotel with only one room? It doesn’t get more exclusive than Copenhagen’s Central Hotel & Cafe. Don’t expect this to be a bargain – in fact, the double room costs EUR 280 a night – but it’s quite a unique experience, the place is really cosy and nice, while the area is equally charming. If you are, indeed, on a budget, you might want to go for one of the many hostels available in the city. You can’t go wrong with Generator Hostel – with its global reputation and always a cool vibe, it can get as cheap as EUR 17 for a bed in their stylish dorms. HuskMitNavn interprets Madonna and Child for the paternity-leave era. For more great hotels, hostels, b’n’bs and apartments check Booking.com. (Hint: we’ve played with the Booking.com filters so that the top ranked accommodation appeared first… because you’re worth it!). When it comes to Copenhagen, eating out is not for the faint of heart – but you do get plenty of bang for the buck at least (unlike with most elements of life in the Danish capital). Danes care a lot about their food, as well the atmosphere of their restaurants. If you want to try some typical food, go to Aamanns for smørrebrød – rye bread with delicious toppings, like cold cut meats, smoked fish, cheeses and pâtés. For amazing brunch, Wulff & Konstali is the place to be. Another authentic choice in terms of Danish eateries is pizza – yes, you read that right. The fusion between the legacy of Italian gastronomy and Nordic culinary trends give birth to some of the most unique pizza recipes – see for yourself at places like Bæest or Pz Nordic. If, instead, you’re not really decided on what to eat, there’s always Copenhagen Street Food, already mentioned above and definitely unmissable. Walking around Copenhagen on a weekday evening, you’d think this is the most peaceful and quiet place on Planet Earth. But come Friday evening the entire city goes straight into party mode… whether you like it or not. In summer especially, everyone is out, carrying a six pack of beers on one shoulder and a boombox on the other… while cycling, of course. When the sun finally sets, they queue to get into places like Rust in Nørrebro, Loppen in Christiania, and Jolene in the Meatpacking district. Yes, no mention of the city centre, where bars tend to get quite conventional and tasteless. There are some exceptions, sure, such as the legendary jazz bar La Fontaine – and if you’re not a fan already, a (free!) Sunday jam session at La Fontaine will make you fall in love with jazz. Copenhagen’s airport is well connected within Europe and handily close to the city. The subway will take you directly from Terminal 3 to (almost) any corner of Copenhagen, and it runs 24/7. To get around, you also have plenty of options via bus and train – don’t bother with cash and buy your tickets with this mobile app (App Store or Google Play). Other options to get to Copenhagen are: across the Øresund bridge from Sweden through Malmö, on a fancy cruise from Oslo, or on a less fancy but very practical train from anywhere in Europe to the Copenhagen Central Station. Visitcopenhagen.com is always up-to-date and rich in information. Dejlige Days, a blog by UK expat Melanie, goes well beyond mere travel inspiration, which is exactly what makes it so cool. Another good source along the same lines is Laura’s Copenhagen Tales. For a careful selection of monthly events and other cool things from around the city, check Scandinavia Standard. As for the ultimate foodie recommendations, you absolutely must follow Mad About Copenhagen. It doesn’t get more delicious than that. A great travel guide, beautifully designed and illustrated, is KBNHVN. Secret Copenhagen is for the urban explorers out there. And then there is The Little Book of Hygge, which revolves around that untranslatable word that is supposedly the secret of Danes’ happiness. If you’re keen to find out more, try this tour. Copenhagen’s sights seem to work particularly well as a backdrop for dramas and thrillers, so here are a few good ones: Reconstruction, featuring Nikolaj Lie Kaas, one of the best young talents of Danish cinema. After The Wedding, with Denmark’s most renowned actor, Mads Mikkelsen. A Royal Affair, for a taste of a historical Copenhagen. The same Mads Mikkelsen, this time playing along Swedish actress and Oscar winner Alicia Vikander. The Bridge, a very popular Danish-Swedish series set in Copenhagen and neighbouring Malmö, with the Øresund bridge in between them as the central theme of the story. Doing a whirlwind tour of the Scandinavian capitals? 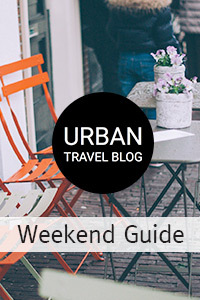 Then it’s your lucky day because you just stumbled across our weekend guide to Oslo, our Stockholm travel itinerary and our Helsinki city guide! Sabina relocated to Copenhagen in 2015 and irrevocably fell in love with the Danish capital. Now she's sharing this love as a freelance writer, as well as part of Donkey Republic and other urban liveability projects.